It was the biggest day for all of them, Filmdukes Media Wave Pvt. 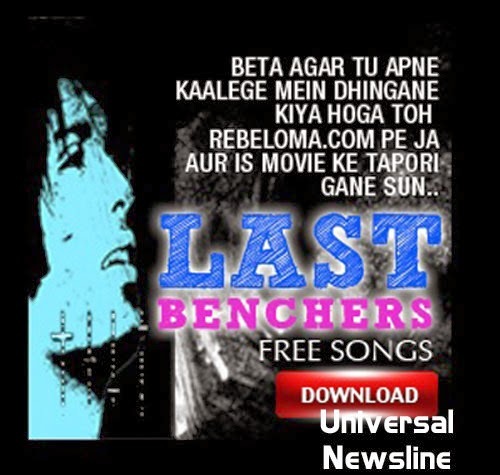 Ltd launched the trailer of Bollywood’s Upcoming movie LASTBENCHERS. It’s a movie about the life of lastbenchers who are failures in their academic life but when it comes to real life they struggles hard to become someone whom world can recognize and judge them by the work they do and not by the grades they get. Its inspirational story about not letting your failures comes in your way of your dreams and ambitions. Lastbenchers is a story of college guys who sit on last Bench. This movie is starring by Prajakt Rebeloma, Tanvi Lonkar, Sanket Galactus , Directed by Prajakt Rebeloma, and Produced by MORESHWAR MESHRAM. Under the banner of Filmdukes Media Wave Pvt. Ltd.